When Laura Silver’s favorite knish shop went out of business, the native New Yorker sank into mourning, but then she sprang into action. She embarked on a round-the-world quest for the origins and modern-day manifestations of the knish. The iconic potato pie leads the author from Mrs. Stahl’s bakery in Brighton Beach, Brooklyn, to an Italian pasta maker in New Jersey—and on to a hunt across three continents for the pastry that shaped her identity. Starting in New York, she tracks down heirs to several knish dynasties and discovers that her own family has roots in a Polish town named Knyszyn. With good humor and a hunger for history, Silver mines knish lore for stories of entrepreneurship, survival, and major deliciousness. Along the way, she meets Minnesota seniors who make knishes for weekly fundraisers, foodies determined to revive the legacy of Mrs. Stahl, and even the legendary knish maker’s granddaughters, who share their joie de vivre—and their family recipe. Knish connections to Eleanor Roosevelt and rap music? Die-hard investigator Silver unearths those and other intriguing anecdotes involving the starchy snack once so common along Manhattan’s long-lost Knish Alley. 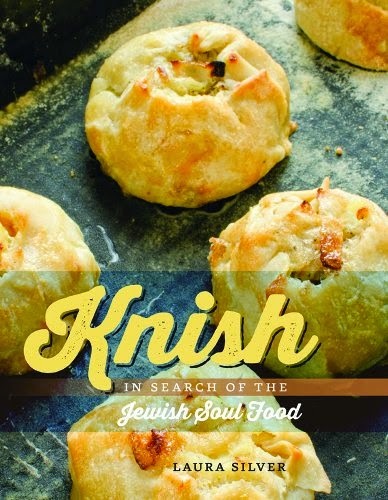 In a series of funny, moving, and touching episodes, Silver takes us on a knish-eye tour of worlds past and present, thus laying the foundation for a global knish renaissance.